Create delicious mocktails and low-sugar cocktails, using home-grown and foraged ingredients. Award-winning cocktail-maker and gardener Lottie Muir brings you another selection of wonderfully wild and flavorful concoctions from her pop-up bar, The Midnight Apothecary. For this new repertoire of drinks, Lottie set herself a threefold challenge: to achieve the same amount of pleasure and balance that refined sugar provides in the taste and mouth-feel of a cocktail, to create new aromatic and bitter-forward drinks, and to make delicious new mocktails for those who want to consume no, or less, alcohol. Lottie has created delicious infusions, cordials, sodas, shrubs, bitters, teas, and tonics that can be mixed alcohol free as mocktails—try out the Cherry Blossom and Flowering Currant Cordial, the Thyme and Licorice Syrup, or the Iced Spring Tonic Tea—or added to your favorite spirits to create a magical take on old-time classics, such as the Wild Negroni or the Windfall Punch. There is the perfect drink for any time of the year and whatever your mood, so whether it is Dry January mocktails that you need, no-added-sugar fun, or the restorative powers of an indulgent cocktail, Lottie’s plant-powered potions hit the right spot. Lottie Muir is a gardener by day, and a botanical-cocktail mixologist by night, at work in the rooftop garden of the Brunel Museum in London. Her work has featured in Vogue magazine, and Midnight Apothecary was chosen as one of the top three rooftop bars in London by TNT magazine. 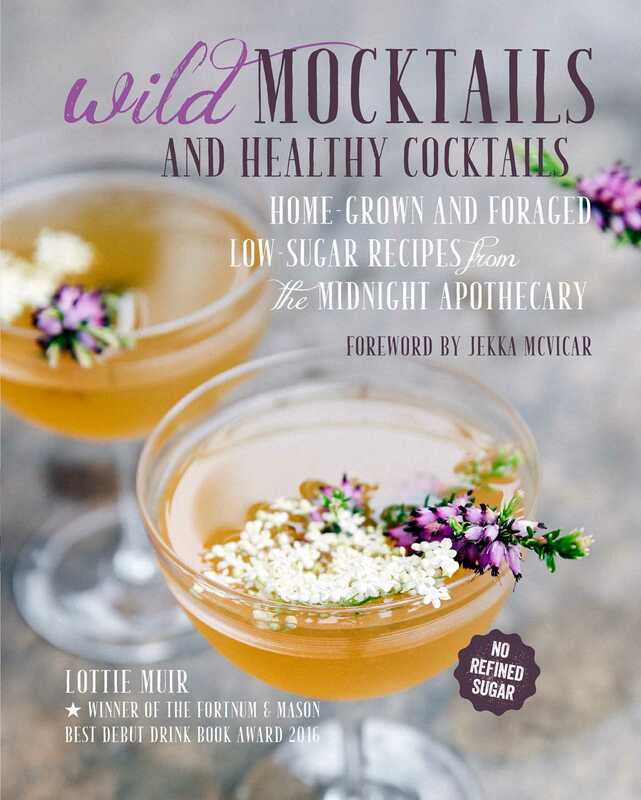 ‘Wild Cocktails from the Midnight Apothecary’ is her first book.